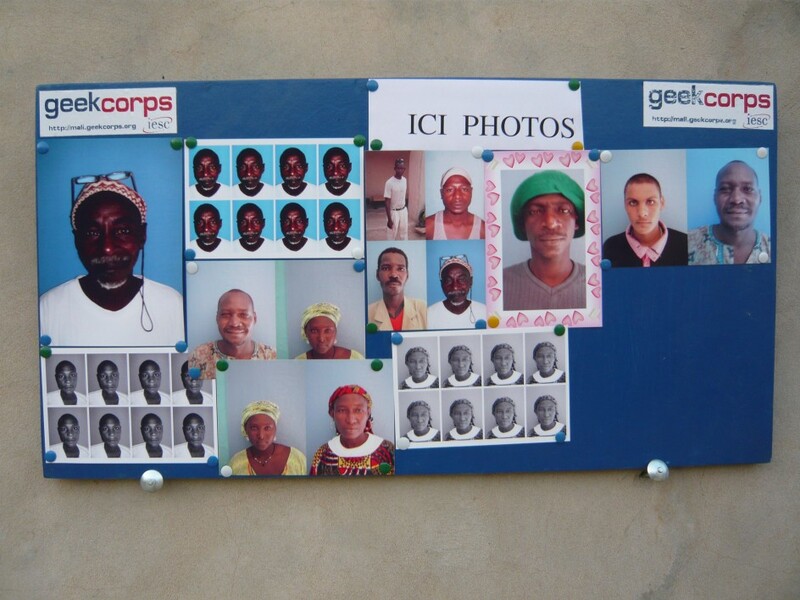 I spent two years working for Geekcorps in Mali, from 2005 to 2007, a Washington DC based NGO specialized in ICT for development. I was the Country Director and I had to manage an exiting one-year project named the Community Mobilization through Radio Technology Program funded by USAID. 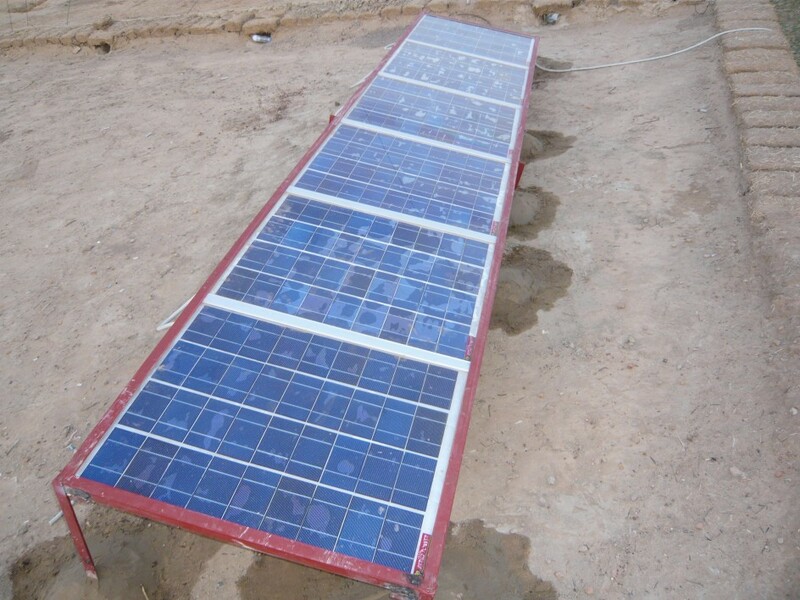 It aimed to set up five renewable energy community-based radio stations in the north of Mali and I spent my first year managing the program, building with my team OpenFM transmitters, building local solar panels, designing mast antennas and organizing training sessions for northern Mali communities. Access the Internet if there’s a GPRS connection provided in the locality. 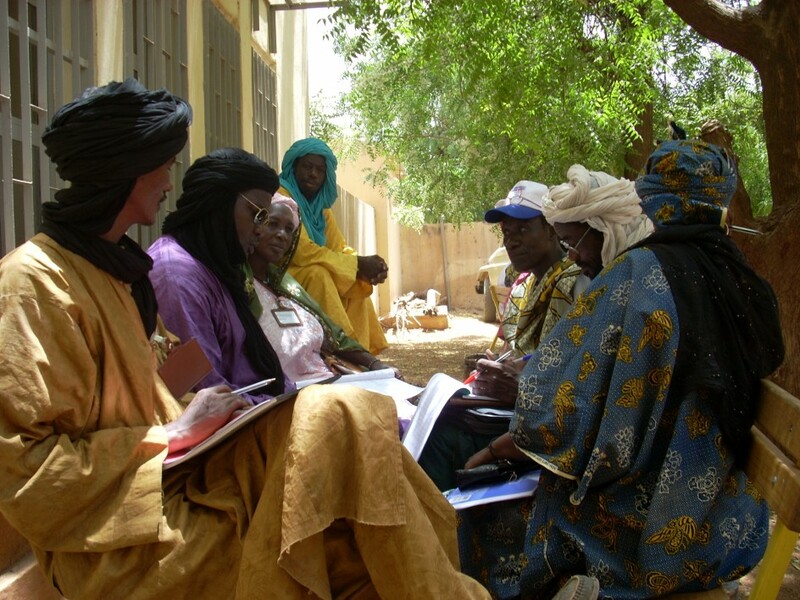 After the first year, we set up five radio stations in the north of Mali, which increased access to information for nearly 164,000 individuals, we trained about 40 people to manage radio stations and we set up or updated 10 Cybertigi centers in Mali. We also developed and improved Kiwix, an offline Wikipedia to bring knowledge in rural areas. This project was successful and USAID proposed an extension for this program with the involvement of the US Department of Defense. 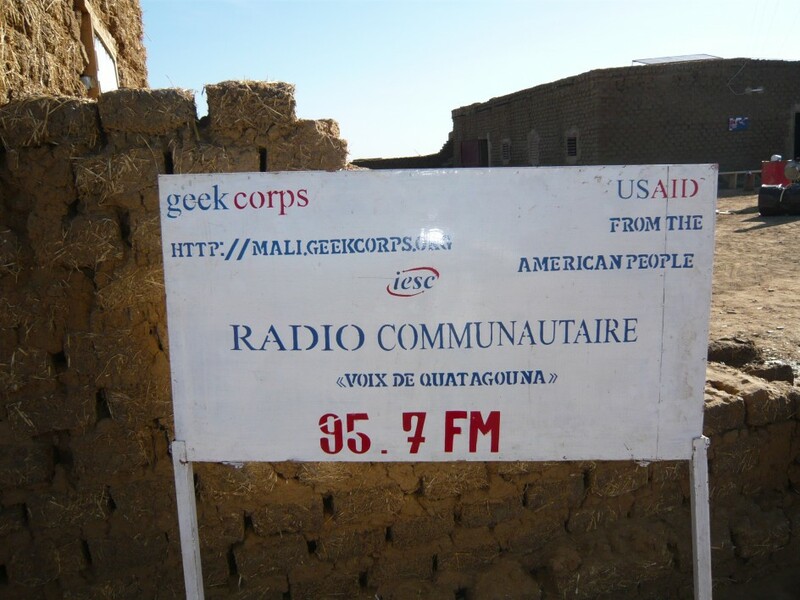 This new program was named Radio for Peace Building in Northern Mali and represented the expansion of USAID’s investment to support radio technology diffusion and conflict prevention in Mali by funding two years of additional Geekcorps activities in the country. The program mobilized communities, built 11 new radio stations, updated one radio station, and empowered program participants and the private sector through capacity building and training initiatives. 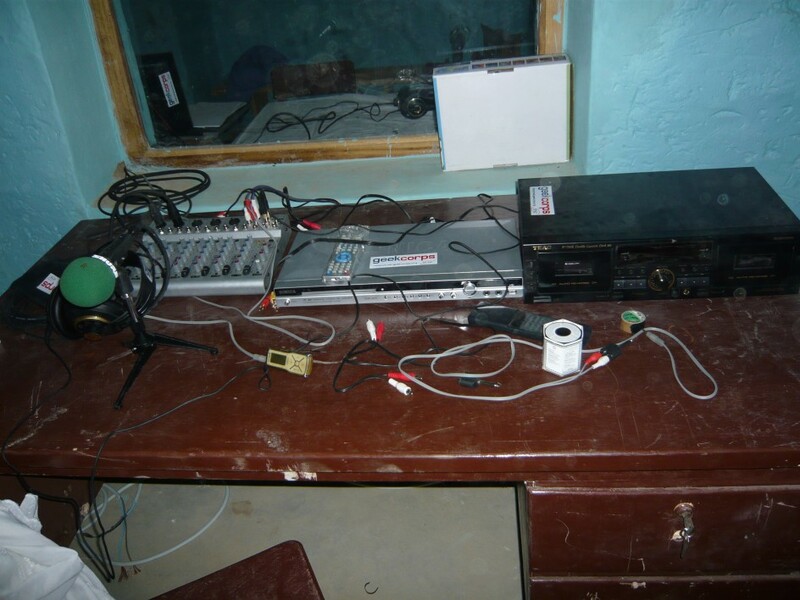 Geekcorps had to directly support the goals of the Trans-Sahara Counter Terrorism Partnership through its radio program by promoting media freedom and serving as a tool for delegitimizing terrorist ideology in conflict-prone Northern areas. Thus, we had to build 11 new radio stations in the north of Mali in remote areas which started to become increasingly dangerous for expatriates. During a field mission in July 2008, my team and I were attacked between Gao and Timbuktu in an arid, no-man land by three Tuareg people armed with a machine gun. The bandits stole our vehicle, equipment, cell phones and we had to find our way during four hours to reach the nearest village. USAID didn’t want to give up, they bought us a brand new 4×4 to keep going in the north of Mali and they proposed us support from the Malian army during our field visits. I declined the proposition to be supported by armed people during our northern field trip and USAID were more and more insistent that my team build the radio stations as soon as possible despite the huge risk I and my team were subjected to. The Department of Defense took charge of workshops for local teams and I started to be very uncomfortable with this program. Indeed, it was no development anymore and we were just a tool to serve antiterrorism ideologies using our technical skills. Finally, I left Mali during the summer of 2009 and the program kept going for one more year before closing the Geekcorps office in Bamako and Gao. A couple of years after this experience, I went to Guinea for a technical audit to improve knowledge access. I met a former Minister of Telecommunication at his residence in Conakry, who had some troubles at his own radio station when I arrived. Indeed, he was talking to his radio host front of me because the U.S. Embassy called him in the morning regarding the content of one of his shows. The radio host had told a joke on marijuana decriminalization on air and, apparently, a U.S. representative didn’t appreciate the gag. When the talk was over with his radio host, the former Minister explained to me that they needed to be careful with radio content in Guinea because the US embassy is listening to the whole FM radio spectrum and he wanted to stay in good terms with diplomats. Thus, as is the case with the Internet, foreign governments are monitoring radio spectrum in West Africa. Indeed, we had the example of Mali where content creation was given by long-term capacity building workshops provided by a foreign army and the example of Guinea where a foreign country is listening to the FM radio spectrum. I understand that a government needs to have a strong link with a population to run a nation but do they have to control content? Does a country have to accept interference from a foreign one in its policies and freedom of speech? To understand our cultural differences and our divergences, we should build a common participatory democracy devoid of media controls. West African countries should find a proper balance to harmonize their relationships with the West and with their own history. The identity of the « nation » is quite new in West Africa and needs to be built properly.